My yoga offer for the month of February is BOGO! All you have to do is purchase one 1 hour private class, and you will get your second class completely free. *This offer is available for first time students only. SO many people tell me that they aren't flexible enough to do yoga. So. Many. People. ​That's literally like saying you're too dirty to shower. It's nonsense, really. I might be going out on a limb here, but in my experience, this particular excuse stems from a fear of said person thinking they won't be "good" at yoga. Yoga is not something a person is good or bad at. I can't stress this enough, especially to people who are brand new to the asana practice (physical postures). I think you should ask yourself two things if you're thinking of embarking on a "yogaventure:"
A. Why am I interested in yoga? - Have you always wanted to give it a try, to know what all the fuss is about? B. What do I want to get out of the practice? - Do you have back pain? Sit a lot at a desk? Looking for a more holistic approach to heath without medications? It's easy to make excuses. I remember I made them for years before finally stepping on a mat at a free community, donation based class in Northern California. This day and age, yoga studios are offering loads of classes catered to beginners. If that isn't your thing, maybetry a private lesson one-on-one so you can build your confidence with your body, breath work and the poses. 2. 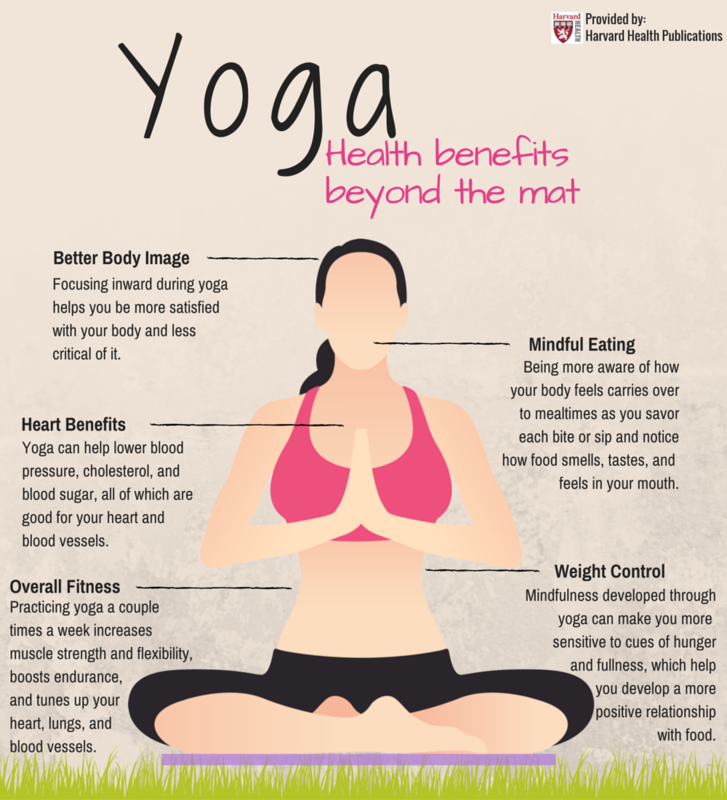 Yoga makes you more mindful. ​Mindfulness is a term that has been bludgeoned to death of late in my opinion. I love the premise though, being in the present moment and acknowledging the thoughts, feelings and sensations of that moment. In this day in age, we are typically focused on what's ahead: where am I going? . . . what do I need to do? . . . what do I want from life? We anticipate and plan a course of action. That is the very definition of life in a way, meeting obstacles and problem solving how we might best maneuver through each day, month, and year. For example, let's take a middle aged Aussie mum of three young children. She would need to organize school lunches, school drop offs, work a full time job AS WELL AS orchestrate school pick up, evening activities, dinner, the works. Just typing that all out gave me heart palpitations. Sometimes we have to look at the day ahead of us like that so we can tick all the boxes. But, I think you'd agree with me when I say that most of us don't take life a day at a time. I would venture to say that a vast majority of people tend to look at the bigger picture. I personally believe this is a root cause for anxiety. The unknown of what's to come, what bad things may or may not happen can be overwhelming at the best of times. If becoming a mum has taught me anything it's that I occasionally have to take bite size pieces of life. Sometimes I do life an hour at a time, other times, when things are tough, a minute at a time. This is one of the reasons yoga and mindfulness go hand in hand. When you are on your mat in a quiet space, free from the distractions of work, relationships or noisy children, you actually have a small window of time to just be. To breathe. To be present. You can listen to the sound of your breath, the sensation of the breathe as it rises and falls. This can make you become more aware of your thoughts and the clutter of your mind. Sometimes people find this difficult, they think, once again, that they are bad at yoga because that can't turn their mind off. Newflash number 2 - unless you're a Buddhist monk, you probably won't ever be able to turn your mind "off." However, yoga will gift you the tools to help aid you through the business of life. I'm a firm believer in stressing this to my students. We'll spend 60-90 minutes together, but what we practice is not meant for the yoga studio alone. I want them to take it out and live it. When they are on a busy train feeling anxious, I hope they remember their breathing techniques. When they're having a sleepless night, I hope they remember that vviparita karani is a fantastic, gentle inversion to prepare for sleep and restore the body. The word yoga originates from the sanskrit root "yuj" which means union or yoke. In a spiritual sense, it means union of the Individual Self with the Universal Self. ​Yoga is the union of the body, mind, emotions and intellect. 3. Because we should all slow down just a bit. International Yogini, Ulrica Norberg states in her book Restorative Yoga, "When we are on the go all the time, we lose connection with ourselves because we don't pause to charge our batteries in a biological, natural way. We live in a cultural poverty where we no longer know how to take a break, and many of us believe pausing something strange or weak." We glamorize busy. "I'm so busy," is brandished like some badge of honor or importance. News flash, it's neither. I know I'm guilty of this myself, there is no denying it. I'm a lot better than I used to be though, and I honestly know the difference between being too busy and using it as an excuse for things I don't want to do or people I don't want to see. Sounds harsh, but it's true. We make time for people and things that are important to us. When was the last time you made time for yourself? When was the last time you actually carved out a chunk of time for yourself to do as much or as little as you wanted? Pranayama, or breathe control, is practiced during yoga and helps to slow the heart rate and breathing rate. It can also combat depression, anxiety and insomnia. Taking time to be still, quiet the mind, and do one thing at a time can take practice. Many of my students feel completely refreshed after I open my class with a brief four minute guided Pranayama and nothing more! It's remarkable how the mind wants to heal itself, if only we would let it! Yoga helps to develop an inner awareness. The focus is not on the physical appearance, it's to help take you on a journey inward. If you've visited yoga studios before, you might remember a lot of them don't actually have mirrors. They tend be to quite distracting. One could argue they are good for alignment, but I think using proprioception is a better tool, and that's what the teacher is there for, to help give the verbal cues needed to get you to into the asana. Surveys show that people who practice yoga not only had better awareness of their bodies, but they also were documented as being more satisfied and less critical of their bodies (in comparison to those who didn't have a yoga practice). Moving in this way, or using it as a form of exercise, if you will, tends to make you more aware of your physical body. First inwardly, then eternally. For example, I personally find I'm more mindful about what I eat and put into my body if I have had a good yoga session that morning! I used to teach corporate yoga quite a bit in Melbourne. My favorite place to work was a large corporation in Mulgrave where the associates were under high stress all the time. I taught my class in a large boardroom after work from 5-6pm. At the beginning of class my student's stress was visible in their neck, shoulders and posture. After an hour together practicing restorative yoga, they were calmer, collected and moved with more fluidity. Another study attributed practicing yoga to improved lipid profiles in healthy patients. Better yet? It also showed improved lipid profiles with patients who had known coronary artery disease. Yoga also helped to lower excessive blood sugar levels in people with non-insulin dependent diabetes, thus reducing their need for doctor prescribed medications. It's worth noting that yoga is actually being included in cardiac rehabilitation programs because of its cardiovascular and stress relieving benefits. Happy New Year to you dear reader! I hope that you'll continue to deepen your yoga practice if you have one. If you're new to yoga, I can only pray that this article is what will get you to a class or a private lesson that might be the first day of the rest of your life. I'm Erica: a globe trotting Pinterest addict, sushi enthusiast, craft beer drinker, yogini, wife and mum.... not in that order.